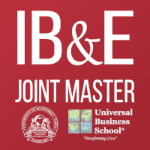 This programme is offered by UE-Varna and Universal Business School – Mumbai, India. The programme gives a sound foundation in economics and contemporary business approaches, an opportunity to experience and learn about the environment and emerging business models in Europe and Asia. Students will be able to develop their skills and competences through experience-based learning, to refine their intercultural skills and to explore new approaches to critical thinking and independent analysis. Our lecturers are pro-active and goal-oriented, which helps students to learn much better and much more efficient. By undergoing this programme, each student can obtain diplomas of both universities, which will increase the amount of the professional and career opportunities. ME is designed to provide a solid foundation in economics in terms of its usage in managerial decision-making. It is an interactive course with a special emphasis on interrelation between culture, management, organizations and business communication. This course deepens the theoretical understanding of the contemporary issues in international trade and finance. The course systematically and correctly builds up the basic ideas of business statistics. It is a combination of lectures and computer-based practice, firmly joining theory and practice. The course aims at studying various logistics practices based on the experience of top-level executives and world-class companies. The module elaborates on business implications of political, social, economic and cultural changes in contemporary European and Global contexts. It was great learning experience in UE-Varna it has really been one of the best experiences of my life, I never thought that studies are going to be so much fun and I cannot explain in words the breathtaking surroundings and the beauty of Varna is surreal. The faculties, the work ethics and everything is up to the mark and I am really looking forward to the future experiences. It was a wonderful experience in UE - Varna . In these 3 months came to know about the various new things & it was an amazing experience. And speaking about city of varna it's just amazing. And it was a peaceful & good time spent here. The last semester of my MBA in University of Economics, Varna was an amazing experience, I lived one of the best moments of my life here. The experience of studying here was a dream come true. The university and the city is beautiful and the people are very friendly and helping. I'll always be grateful for this time. The university and the city is very beautiful and the people are so friendly and helpful. The end semester of my MBA in University of Economics, Varna was great learning experience, I never thought that studies are going to be so much fun and I lived one of the best moments of my life here. Faculties are very good and course structure too. This place is something that I am always going to remember and cherish throughout my lifetime for giving me such beautiful memories along with skills that would help me to build and strengthen my career. Thank you UE- Varna for such good time and amazing experience. Our dedicated staff will evaluate your CV, certifications and other academic and professional achievements. To apply, fill in your name, e-mail and your country. We will contact you in 24 hours for further information. Thank you! Your data has been submitted successfully. We will contact you during next 24 hours. Copyright University of Economics - Varna and Universal Business School Mumbai.